We are happy to invite you to the first “Arb|Aut Forum” on 31 May 2016. 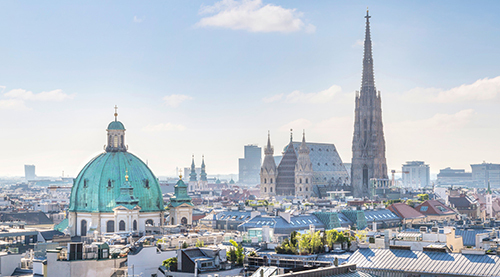 The “Arb|Aut Forum” shall become a periodic informal gathering of the Austrian arbitration community. We understood from a number of our members that they felt the need for an event similar to the round-tables held by the young practitioners. The “Arb|Aut Forum” shall meet these demands. to the “Dachgeschoss” of the Juridicum (Schottenbastei 10-16, 1010 Vienna). We are glad that the dean of the Faculty of Law of the University of Vienna Prof. Paul Oberhammer will welcome us personally. Florian Haugeneder (Knötzl) will give a short keynote on the first decisions of the Austrian Supreme Court following the SchiedsRÄG 2013. Following Florians’ keynote there will be time for discussions and exchanges of thoughts on arbitration. We hope to see many of you on 31 May 2016. On 8 May 2016 the ICCA Governing Board met in Mauritius and decided that ICCA 2020 will be held in Edinburgh. As some of you may know VIAC also submitted a bid for the organization of this event. Although the bid was not successful, VIAC’s delegation consisting of Alice Fremuth-Wolf (Deputy Secretary General VIAC), Nikolaus Pitkowitz (Vice President-VIAC) and Franz Schwarz (Board Member VIAC) made an excellent presentation and gave a vivid demonstration of the strength of Vienna as place of arbitration. Following the launch of our new website www.arbitration-austria.at the website was visited by more than 1.000 users. A large number of users from all over the world still visit the Website every day. Many visitors search the membership directory. Please note that the searches filtered by area of specialisation, nationality or language will only show members who already have completed their member profile. Member profiles can now be downloaded as PDF-files by using the button “Download”. More than 100 members have already accessed their profile. If you have not done so already, please access your profile via Login for Members. If you forgot the password which we sent to you a couple of weeks ago, you will receive a new password when using the following link: http://www.arbitration-austria.at/index.php?option=com_users&view=reset. We already fixed some initial problems, including the photo upload. In case your photo still appears in a wrong format, repeat the upload and the problem will be solved. Following several requests we also added new languages including Bosnian, Serbian, Macedonian and Albanian. Please feel free to let us have any further suggestions by e-mail (arbaut@arbitration-austria.at).